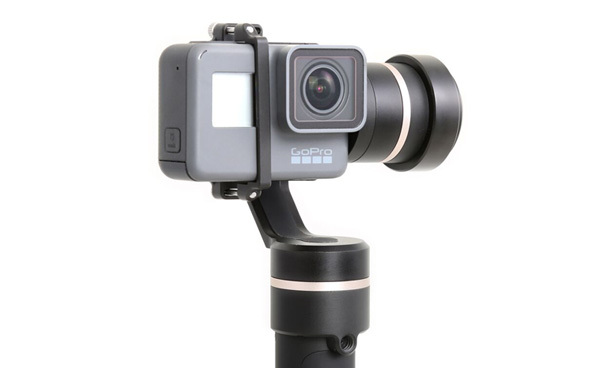 The FEIYU G5 stabilizer is designed to withstand splashes. You can know immortalize the good moments spent by the sea or on a rainy day without fearing for your camera. More than an evolution, this is what we call a revolution ! With a weight of only 271g and an up to 8-hours autonomy, the FEIYU G5 comes along with you wherever you go. All you have to do is folding down your stabilizer, store it in its carrying case and you are ready to go ! Thanks to its ingenious interface, the FEIYU G5 allows you to take control on the various functions without difficulty. 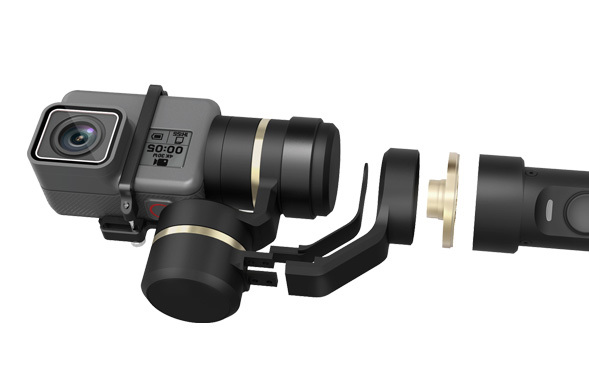 Rotate your gimbal with the four-way joystick, switch from one function to the other by pressing a single button and activate the self-timer for faster shooting. Taking a selfie has never been easier. With the FEIYU G5, you only have one button to press ! Hold the self-timer button and your stabilizer will rotate your camera and point it towards you. Release the button to let your camera come back to its initial orientation. 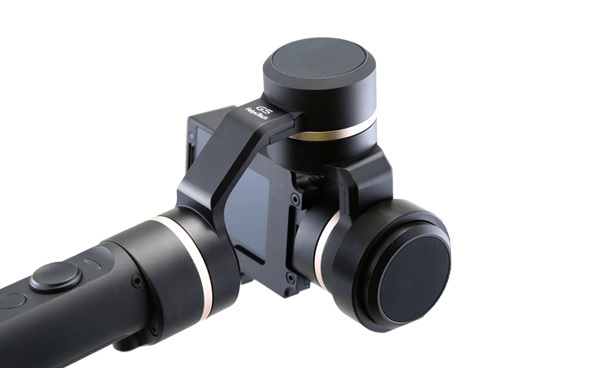 Install the FEIYU application and connect your 3-axis stabilizer to your smartphone via Bluetooth. This gives you access to remote control, automatic calibration, firmware upgrade, cardan configuration and many other features via your smartphone.